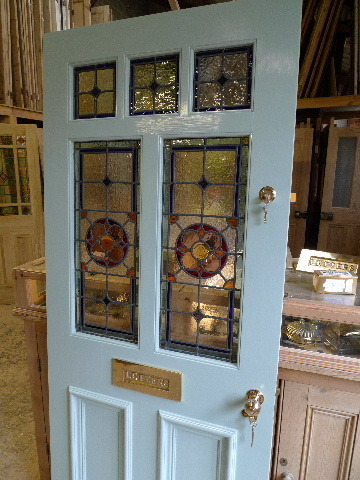 Pitch Pine 7 panel Stained Glass Front Door. The price excludes door fittings and painting .please contact us to discuss your requirements. Imperial : 32 x 80 x 1 3/4 inches .